Who can remember a time before the internet ruled our lives? It is so central to what we all do now that it can be a little hard. Actually calling people to speak in person on a telephone seems alien now that we can text, as does not being able to send emails. The statistics around internet usage in Australia alone back this up, with 88% of the total population being active users as of 2018. When you add in the more than 4 billion internet users across the whole planet, it becomes even more obvious how important the internet is to our lives. If there is one market in society that has seen great change based on internet technology, it is the job market. Ultra-fast internet connections and powerful home computers now mean that you can work from home for a career. This has become more common in recent years, with recent figures showing that one in three Australians now do this regularly. The many opportunities that the internet offers to make money now have also enabled people to forge whole new careers. 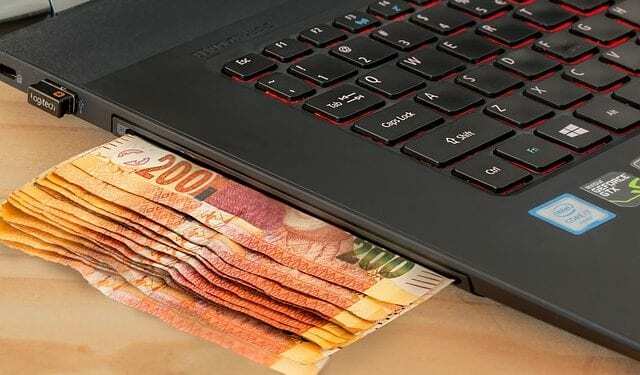 Investing in forex – one opportunity that has become available to ordinary people due to internet technology is investing in the currency market. Before, this was only really possible if you worked for a bank as a professional trader. Now, anyone with some spare Australian dollars, a computer and an internet connection can begin to trade. Just be sure to know what you are doing before you dive in! You need to learn to trade forex before risking any of your own money – get it right though and you can make some serious profits. Freelance writing – if you like writing articles and have a good grasp of the English language, then why not consider doing it for a job? The internet allows you to not only find agencies to work for online but also type up your work from home and email it over to them. This is a great option if you want a better work-life balance while doing something you enjoy. Blogging – another lucrative opportunity that the internet age has presented the ordinary Australian is blogging. Blogs are like mini-websites where you talk about the things you love. Although it can take a while to gain online followers, if you get enough, then you can earn some good money. From affiliate marketing to external companies paying to advertise on it, blogs are a superb money-making option that the internet offers. Paid surveys – if you want an online opportunity that requires nothing more than giving your opinion on things, then this is for you! Completing surveys that are sent to you online is fun and easy – once you start to do a few, it can earn you a nice bit of extra money. There is a wide range of surveys to take, so you are bound to find something that floats your boat. Domain name investing – domain names are the web addresses that websites have – in effect, they are like digital real estate. The rise of the internet and the need for businesses to have a website on there now makes this form of investing possible. It sees you buy available domain names and then sell them on for a profit to anyone who wants it – the short .com domain names can sell for huge prices. What about self-publishing a book? If you feel like you have a story to tell or a great fictional character to bring to life, then why not become an author? Before the internet, this could be tricky as you needed to find and convince a publisher to publish the work on your behalf. This is no longer the case as there are many online self-publishing platforms such as Smashwords that allow you to get your book out there into the public realm. Perhaps the common theme with all the extra opportunities that we have looked at online is the way that they are open to all. It has really opened the door to many sectors that were once closed shops to most people. This does not mean making money online is easy – you still need a combination of talent and hard work to succeed as you would in real life. However, in terms of more opportunities to discover, it is hard to beat.